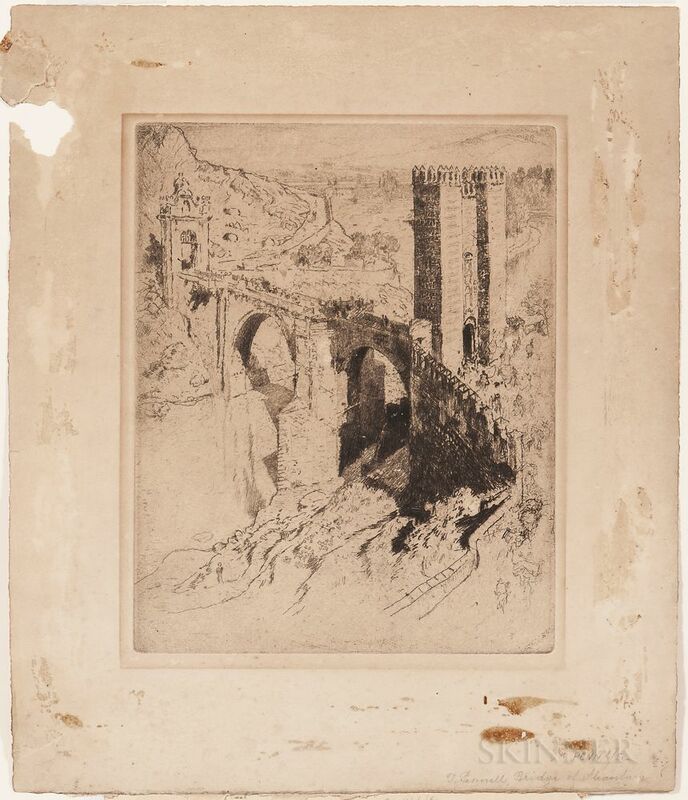 Two Views: Bridge of Alcantara, Toledo, 1904, probably from the unsigned edition published in 1909 (Wuerth, 322); and On Clapham Common, 1905, edition probably of 50 (Wuerth, 370). The latter signed in pencil. 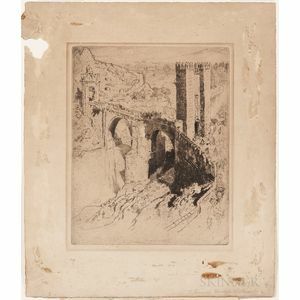 Etchings on paper, plate sizes approximately 10 1/4 x 8 1/4 in., matted, unframed. Condition: Nicks/losses to sheet, toning, mat burn, glue residue and pencil annotations to margins.